I would like to sincerely thank you for all you have done to ensure the sale of my business. Your professionalism and patience knew no bounds and you certainly went the extra mile for us to secure financing for the buyer to ensure the sale’s success. I would have no hesitation in recommending you to any of my friends who wish to sell their business as I know that you will succeed where others have failed. I have nothing but the highest praise for you. Having dealt with Darius as the broker for a business I purchased, I did not hesitate when it came time to sell my business. Darius and the Lions system are transparent, simple and most of all effective. Not once did I have to call Darius to find out what was happening, as he always called me with updates to keep me in the loop. There is never any uncertainty when dealing with Lions. I would recommend Darius and Lions Business Brokers without hesitation. I contacted Darius because of the very positive recommendations I read on this website. From my first discussion with him, I was very happy to proceed with Lions as the sole Business Brokers for sale of my Commercial Fishing Tackle business. Darius achieved a very quick and very satisfactory sale; he kept me fully informed of every enquiry and gave me a weekly update of results.I cannot recommend him more highly and would not hesitate in using his services again. I operated an import wholesale business for 22 years and decided it was time to sell as I had reached retirement age. I contacted 3 brokers to ask their advice on how to sell my business. I found that Darius from Lions Brokers was easiest and most informative broker who replied so I went with him. I like the way he got on the phone and talked with me and offered his advice on the best way to sell the business. I had never sold a business before and I found his advice very helpful as he guided me through the process. I found, in the end, all his advice was spot on. And I was pleased and impressed the way he stuck with the task even when it was difficult to find a buyer for my niche business. His pleasant and friendly calls were always informative and welcomed by me and his views and comments obviously came from a very wise man. From the moment I made contact over the phone with the Master Blaster Darius, I was hooked!! After three other very expensive Brokers failed me, I was so excited to encounter his exceptional genius and unyielding persistence at accomplishing an almost impossible sale of a Medical Imaging Clinic….. but this man did it! I sincerely applaud and congratulate Darius for his attention on close to everything involved, with successfully attracting the buyers and to closure of the deal, which happened rather fast, thanks to him and his crew at Lions Business Brokerage. When things were looking bad, Darius always flipped it into a positive and helped change my perspective and outcome for me and my family! Thanks for your Wisdom Darius. I recently, successfully sold my business with Lions Business Broker and wanted to express my appreciation at the manner in which my transaction was dealt with. The whole process ran smoothly and any issues that did arise were dealt with appropriately, professionally and efficiently. Darius was immensely helpful, quick to respond and always with excellent professional advice on all aspects of the process and he kept me well informed during the various negotiations and discussions with the interested parties.I would confidently recommend Lions to anyone wishing to sell or buy a business. I really can not thank you enough for all your help and support in the sale process…I couldn’t have done it without you!!! Selling a business is a process and for me and my rather unique business – it was a long one, but I can’t praise Lions business brokers highly enough, they were always positive, supportive and lovely to work with, but most importantly skilled, knowledgeable, gave great and continuous service throughout the whole process, all the way to a successful conclusion. I recommend them highly, you’ll be in good hands. I have recently sold my business using the services of Lions Business Brokers. 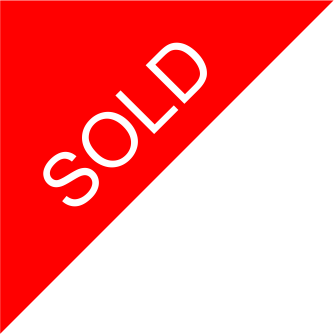 First off, the initial contact with Darius was easy; the steps to set up the selling profile were simple to understand. Guidance in the online content completion was effortless as the system explained what it needed; who could see it and if there was still some doubt then a quick call to Darius solved the uncertainty. The profile was easy to edit and to maintain whenever required. The format was efficient and reduced unnecessary contact time between the broker and myself. I would, and have already, recommend (ed) Lions Business Brokers to anyone wishing to sell a business in a very modern, trouble free way with minimal outgoing expenses at the end of the business sale; this is truly a very cost efficient & smart way to sell business in the modern day. Our business was somewhat different from the average and involved a range of rather unique circumstances which Darius took in his stride. Darius continued to maintain regular contact over the whole period from initial registration to the final sale. He undertook to coordinate a whole range of additional processes that were not technically his responsibility when it did come to the contract phase and provided continuous updates to us regarding each step in the process which my partner and I really appreciated. We would highly recommend Lions Business Brokers for the sale of almost any business you could think of and would have no hesitation in using Darius’s services again in the future. Thanks again Darius we really appreciate the hard work and persistent support you have provided us. Thank you, Darius, for selling our publishing business. I never dreamed selling a business could be so smooth and hassle free and I am sure it would not have been if it was not for you and expertise. Not only did you secure the price we were asking but you negotiated an early settlement and found us a very compatible buyer. Thank you! I would certainly be recommending yourself and Lions to anyone I know who is contemplating selling their business. I would like to pass on our thanks for the professional manner in which you handled the sale of our Business. We had been trying to sell this business for a while having listed with various papers, e-bay and Internet options with very little success. Within two months of listing with Lions Brokers, we had an offer on the business that was within our acceptable range. We were very pleased with the process and the short term contract settlement that eventually led to the sale of the business. Once again thank you for your diligence in ensuring that everything went through smoothly. We would certainly recommend your company to anyone who is interested in selling their business or indeed buying a business, as I was assured by the purchaser of our business that they were more than satisfied with the handling of their purchase through your company. Lions Business Brokers were amazing and I will be using them again in future. I have used other brokers before, but with Lions’ unique systems and enthusiasm my business was sold within 3 weeks which others did not achieve in 6 months. Thank you for your assistance with selling our business. Initially I was hesitant using a professional organisation to assist me. My dealing with you has changed my view and I can’t say how glad I am that we listed with you. Thanks to Lion’s specialised service, my business was sold within a month of listing with Lions. Thanks Lions for succeeding so quickly!